The real reason Israel, Saudi Arabia, and neocons hate the Iran deal: They fear that Tehran will join the community of nations. Hint: It has nothing to do with the deal. European leaders, especially Federica Mogherini, the EU’s high representative for foreign affairs, and Philip Hammond, Great Britain’s finance minister, have said that the deal holds out hope for the reopening of broad relations with Iran—and that is precisely these critics’ fear. The fear is hardly without reason. The lifting of sanctions, which this deal will trigger in the next few years, will certainly enrich Iran. This might embolden the government’s expansionist tendencies and its support of militant movements across the Middle East—or it might moderate the country’s stance, as the population (much of it literate and pro-Western) interacts more with the rest of the world and the reigning mullahs die off. There is some basis for this hope of transformation. How long can the mullahs sustain their cries of “Death to America” and their claims of Western encirclement—the rationale for their oppressive domestic policies—when the country’s president and foreign minister, clearly with the approval of the supreme leader, are shaking hands and signing deals with the Great Satan’s emissaries? Nonetheless, the hope is a gamble, and one can’t blame Israelis for refusing to stake too much on its payoff. The Saudi royal family is another matter. King Salman sees the entire Middle East through the prism of a grand Arab cold war between Sunnis and Shiites—with the Shiites led by Iran and all Shiite movements, for instance the Houthi rebels in Yemen, as nothing more than Iranian proxies. It’s a zero-sum game: American diplomacy with Iran, in this view, amounts to an American betrayal of Saudi Arabia. What Netanyahu and King Salman want Obama to do is to wage war against Iran—or, more to the point, to fight their wars against Iran for them. That is why they so virulently oppose U.S. diplomacy with Iran—because the more we talk with Iran’s leaders, the less likely we are to go to war with them. Their view is the opposite of Winston Churchill’s: They believe to war-war is better than to jaw-jaw. President Obama needs to be (and clearly is) sensitive to these parochial views of the region and the world, but he shouldn’t (and clearly isn’t) holding American interests hostage to them. Netanyahu is sure to lobby against this deal on Capitol Hill in the coming weeks, just as he lobbied against the negotiations in his dreadful but politically potent speech before Congress in March. Republicans—keen to cheer the Israeli prime minister and to pummel their own president—probably won’t realize that they’re being played as pawns in someone else’s game. 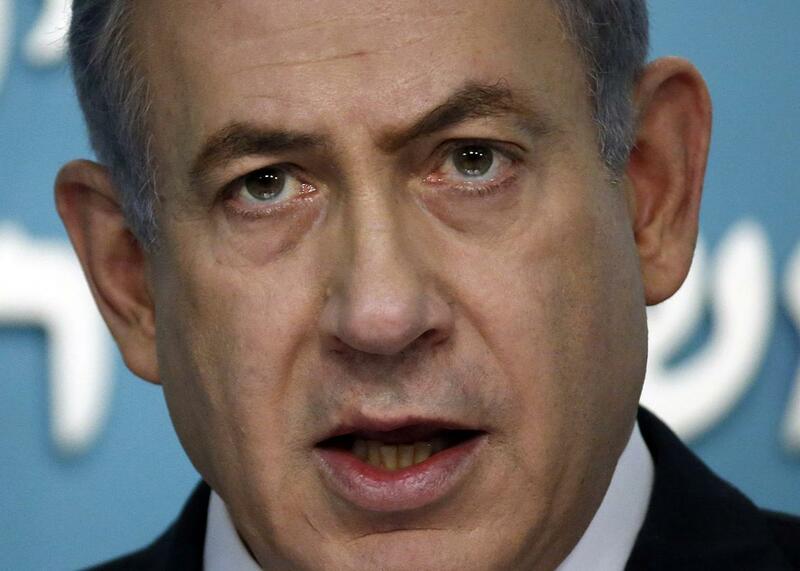 It may be that Netanyahu is overplaying his hand this time. In a speech on Tuesday, he described Iran’s aggression as “several times more dangerous than that of ISIS” and claimed that Iran’s “ultimate true aim” was “taking over the world.” Does anyone believe this? Does Netanyahu, really? I’m not saying Republican senators and presidential candidates should roll over and endorse this Iran deal without serious scrutiny. But maybe they should read the document, attend some informed briefings, and analyze all the players’ political motives before endorsing a foreign leader’s claim that their own country’s president and secretary of state have surrendered their interests and “capitulated” to Tehran’s.